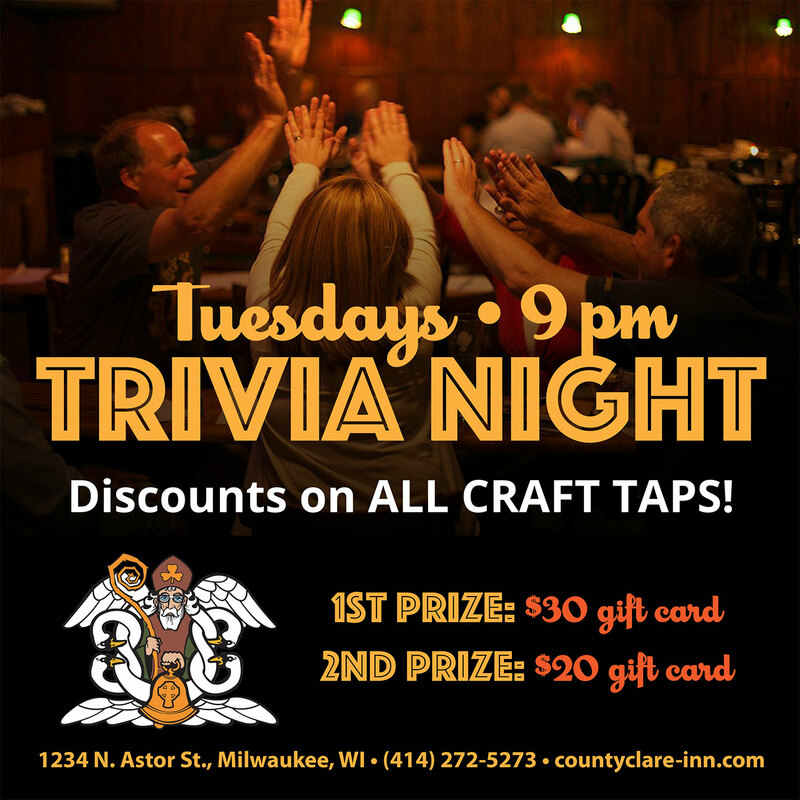 Have a blast at our Tuesday Night Trivia, starting at 9 pm. Get your teams together and join us for a super fun night — every Tuesday! Enjoy our weekly Trivia Night drink specials.